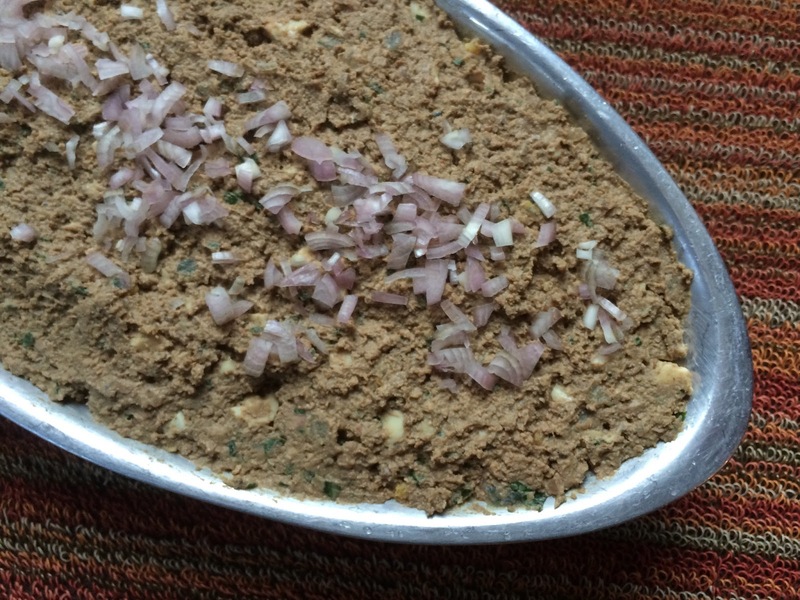 No matter the holiday, when we went to my grandmother’s house one thing was always certain, chopped liver. And we loved it! I hadn’t had it in years so decided to give it a try, minus the Ritz crackers. And we loved it! So here it is, super easy and a guaranteed conversation starter at any gathering. Begin by making four twelve minute hard boiled eggs then set aside to cool. Sauté a large chopped onion over medium low heat until golden brown then stir in a minced clove of garlic and cook for another minute. Add a pound of rinsed and dried chicken livers to the pan and continue to cook until the livers are grey all the way through, about ten minutes. Spread the mixture out on a large dish to cool. Pulse the peeled eggs in a food processor until coarsely chopped then scrape them into a large bowl. Do the same with the liver and onion mixture then stir together with the eggs. Add at least a teaspoon of black pepper, two of kosher salt, then garnish with some finely chopped onion or egg and serve with a thinly sliced baguette.